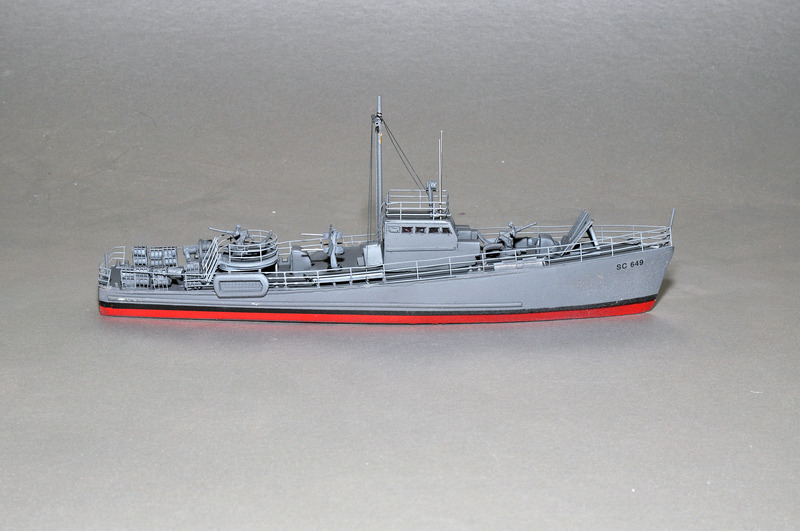 Ideal for the small harbor or river scene, nearly 900 of these wooden subchasers served in both World Wars. Many were shipped to the USSR, Great Britain, and other allies as Lend-Lease items. 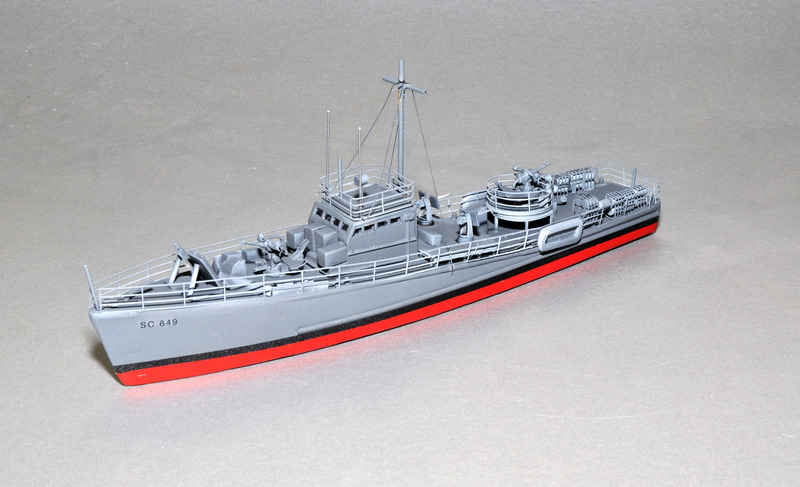 After WW II many were sold as patrol craft to Navies around the world. Although small, they were seaworthy, extremely agile, and capable of 21 knots. The crew was three officers and about 17 seamen. In WW II they were usually armed with either a 3/23 inch or single 40 mm Bofors, three 20 mm Oerkilon anti-aircraft guns, depth charge racks and Y-guns, and two six-barreled 4.7 inch “mousetraps” or contact-fused depth bombs. Due to their shallow draft, some were converted for landing control/scout craft for seaborne invasions. They could be built at many small boat yards and yacht builders: the largest of these small companies built only 28 of the 450+ built for WW II, with many yards building only a few. 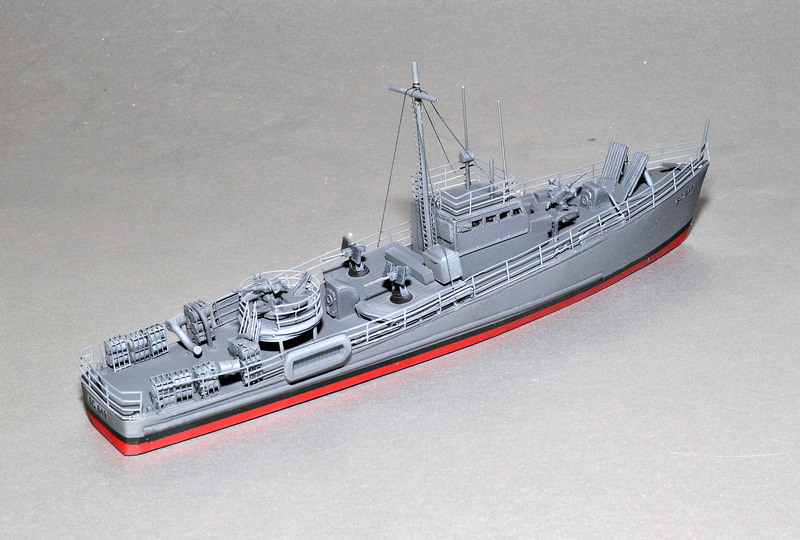 Edition 1 models feature cast resin hulls and superstructures, and a variety of bought and self-made armament. 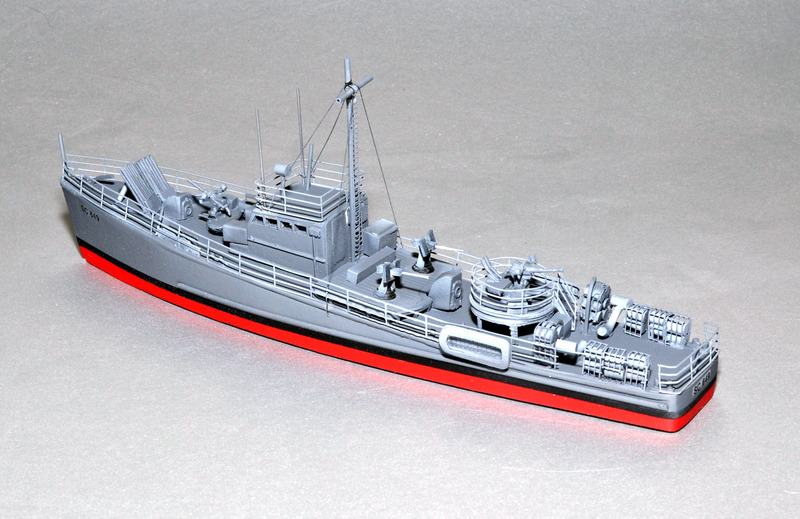 They were the last pre-computer-cutting models I built with solid wood masters and hand-cut styrene. Only five remain and all are built up. These handsome little models are available for USD $275.00 plus shipping. Because of the sturdiness of the hulls, many of these ended up in private hands as fishing vessels, daytime fishing excursion boats or just daytime cruisers. To the US Navy, wooden construction meant high maintenance; to many private shipyards, the construction was familiar and required standard maintenance. Some are still in existence today.